Dry conditions have encouraged some producers to wean earlier than normal (6 to 7 months). Research has shown that these calves can perform as well or better than calves still nursing. 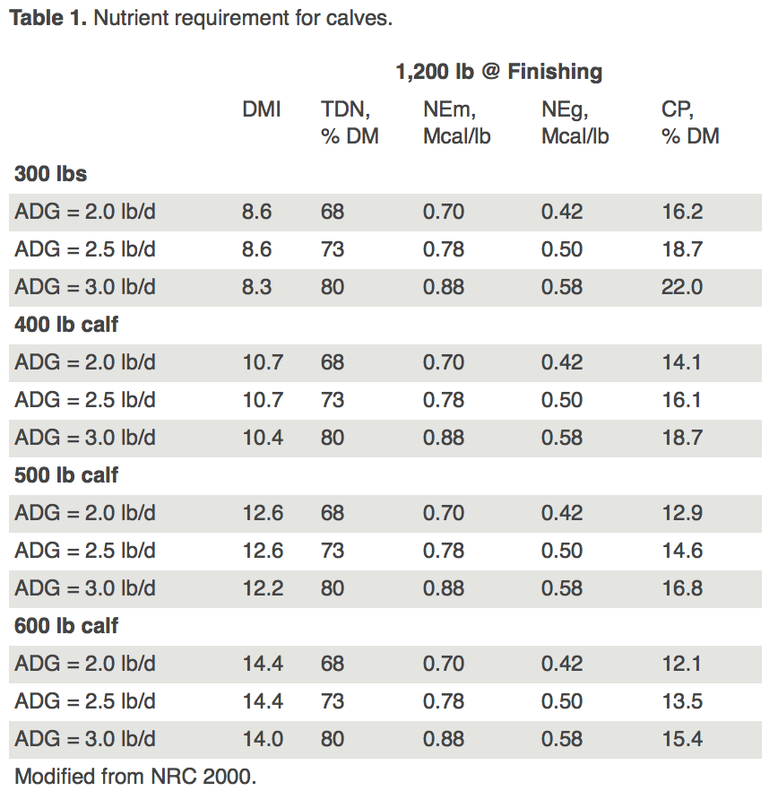 Pasture quality has a key influence on performance of nursing calves. However, under “normal” conditions daily gain of nursing calves during the period is usually 2.1 to 2.3 pounds. Hitting the desired performance (growth) from weaned calves depends on getting them up on dry feed as quickly as possible. Lower dry matter intake is typically found for the first few days (3 to 14) following weaning. During this receiving period, dry matter intake will range from 1 to 1.5% of body weight (350 pounds calf; 3.5 to 5.3 pounds per day). Hence, high-quality feed ingredients are needed to develop a starter diet that is energy-dense (~70% TDN), high crude protein (14 – 16%) and very palatable (Table 1). Table 2 provides a couple of examples of starter rations for early weaned calves, however, remember that producers should develop a ration that fit their feedstuffs resources and delivery equipment. Similar particle size of the ingredients is recommended to reduce sorting of the diet components. Controlling dust of the diet promotes better intakes. Rations need to have some level of forage which allows for proper rumen health. Some feedstuffs that are missing from the starter rations are silage and distillers grains. However, calves previously exposed to silage and other fermented feed could have these ingredients included in the ration. Introduction to these feeds to inexperienced calves should be gradual and occur after they are at an acceptable intake level. Silages and distillers byproducts are nutritious feeds, but incorporation of these feed ingredients to the starter diets should be limited. In light-weight calves rumen capacity is limited (< 400 pounds), as a result silages and high moisture feeds should be restricted to maintain an intake. The inclusion of long hay is often debated. One side of this debate is that if long hay is available calves will eat not enough of the concentrate portion of the diet. The other side contends that long hay is alike to their previous pasture diet, which promotes dry matter intake. However, calves will consume long hay before the unknown concentrate mixture. Success with long hay depends on how it is incorporated. Top dressing the concentrate over the long hay can work well. However, feeding hay in bale rings too often results in calves eating excess hay and inconsistent amounts of concentrate, resulting in poorer efficiencies. A good mineral and vitamin program is important for early weaned calves. Mineral and vitamin supplements should be incorporated into the ration to ensure all calves will consume the required amount. BioZyme’s Sure Start Weaning program is the ideal way to meet vitamin and mineral needs. 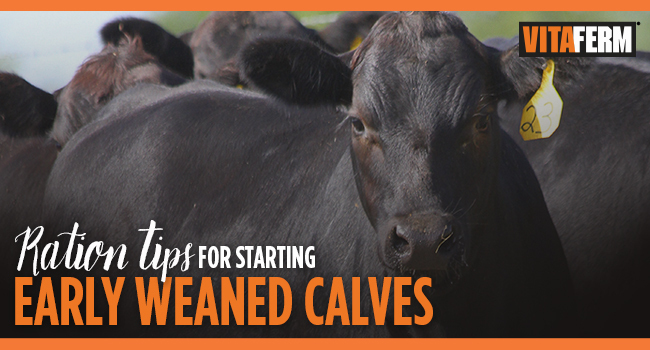 The Sure Start Weaning program consists of three easy steps to get your calves of to a strong start. 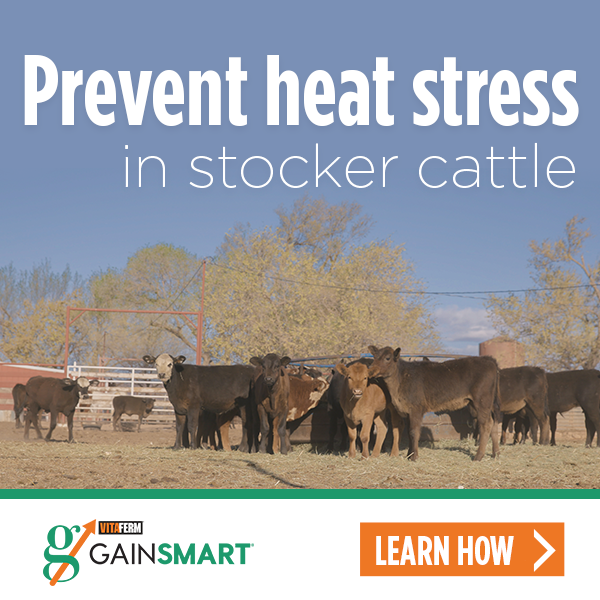 Using a combination of Vita Charge, Sure Start Pellets and one of our VitaFerm minerals, producers will get the benefit of calves coming to the bunk faster, stronger appetites, increased health and additional weight gain. Our on staff nutritionists can also work with you to create the ideal ration for your calve or general cow herd at no cost. Good nutrition creates performance that pays. Find out how your calves can qualify for Superior Livestock’s VitaFerm Raised value-added nutrition program.